The Bahrain’s ruling Al Khalifah regime continued its repressive measures ahead of the first month of the Islamic lunar calendar of Muharram. On Wednesday, the Manama regime’s mercenaries, escorted by security forces, raided the villages of Shahrakan, Jid Ali, Malkiya and Karzakan, taking down Ashura banners and flags and removing black cloths that had draped walls in the areas, Bahraini Mirror reported. On Sunday, the repressive Bahraini regime launched campaign targeting religious manifestations of Muharram mourning ceremonies commemorated annually by Shiite Muslims who constitute a majority in the Persian Gulf monarchy. 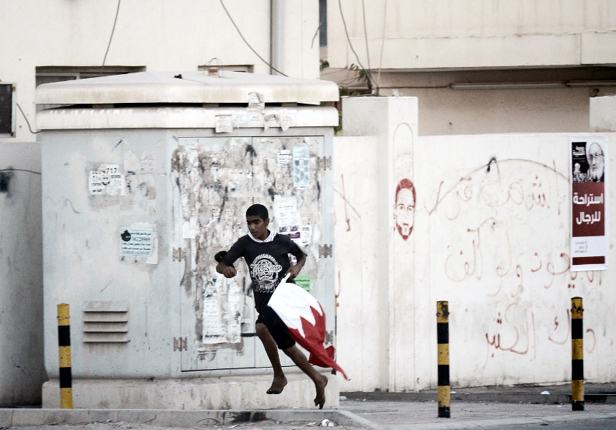 Security forces removed banners and flags that have Muharram religious slogans in the Sitra and Nuwaidrat areas. The authorities have been directly targeting Shiite Muslim majority since 2011 for leading the popular movement that demands democratic transition and putting an end to Al Khalifa monopoly over power. The first ten days of Muharram, the month of the Islamic Hijri calendar, mark the martyrdom of the third Shiite Imam and the grandson of Prophet Mohammad SAW, Imam Hussein AS, in 680 AD in a battle with the tyrant of the time. The tenth day of Muharram, known as Ashura, marks the day when Imam Hussein was martyred with 72 of his loyal companions. Protest rallies in Bahrain have continued on an almost daily basis ever since a popular uprising started in the kingdom in 2011. The protesters are demanding that the Al Khalifah dynasty relinquish power.